Laurence Cox, National University of Ireland Maynooth; Lesley Wood, York University, Toronto, Canada; Uri Gordon, University of Nottingham, Nottingham, UK; together with a wider reference group of 21 past and current activists, the majority of whom are also academic researchers or independent scholars. 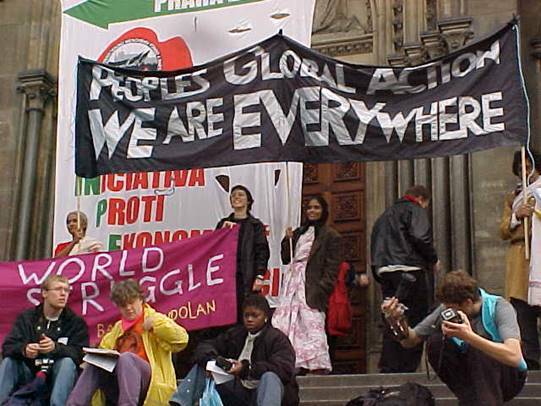 Peoples’ Global Action (PGA) was a central network in the worldwide movement against neoliberalism of the early 2000s. The PGA oral history project is an activist research project geared to recover this history and share it with contemporary movements. Within this framework the Antipode Foundation Scholar-Activist Project Award enabled the production of the first body of completed interviews and transcripts for what will be largely a volunteer -based project, helping to establish it as a reality for other ex-PGA activists and contemporary activist researchers. The award enabled two complementary strands of interviews. Two interviewers carried out three interviews in Ireland, five in Catalunya and six in Italy, representing a first approach to PGA on the European periphery. Meanwhile, another researcher carried out five interviews in Bolivia as a first approach to the Andean region. Interviews explored activist and movement trajectories before, during and after the PGA period, participants’ reflections on these and what can be learned for today’s movements. One key issue which emerged was the meaning of “international movement network”: participants related very differently to PGA in different national contexts, and the interviewers emphasised these multiple realities. The interviews were transcribed and will be uploaded to our online archive (in progress), providing a set of interviews that will enable us to seek wider engagement from both ex-PGA activists and contemporary movements. Finally, several organisers presented the project at the annual social movements conference in Manchester (in April 2017), leading to lively discussions. A research note on this was published in the open access social movements journal Interface (volume 9, issue 1, 2017). The main problem encountered was meshing the complexities of activist research with the comparatively rigid structures of university funding processes. 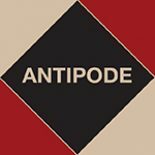 We would like to acknowledge the support and flexibility shown by the Antipode Foundation, which made it possible to work appropriately with activist and ex-activist researchers and thus orient ourselves to movement realities effectively. A second challenge was the question “what is/was PGA?” in terms of who to interview, how they understood their relationship to PGA and how they saw the organisational structure. If the many different perspectives we encountered on this might seem like a weakness from the point of view of a formal research process, they undoubtedly represented a strength in terms of enabling global movement networking. This apparently methodological issue thus points to a significant substantial aspect of global networks. The most immediate action for the future is to make the transcribed interviews available in an online archive (with translation in the case of those not in English or Spanish, and anonymisation where requested). This will then be used as the basis to launch a new round of dissemination of the project, aimed at engaging ex-PGA activists and researchers involved in contemporary movements. An important part of this will be to raise the profile of the question of what can be learned for today’s movements against neoliberalism, positively and negatively, from the PGA experience. Finally, an article or research note based on the Antipode Foundation-funded interviews will be written for submission to Antipode.